The Pearson family started operating business in Durham, NC in 1958 when opening the first location of what later became central North Carolina's leading piano dealership with 7 locations across North Carolina under the name Pearson Music. The first Grandfather Clock was delivered to us in the early 80s' which was our beginning in Grandfather Clocks. We have always been a family serving other families and professionals through helping them select the right product for their homes as we only sell lifetime, heirloom quality products. There are still 3 generations working in our Durham location today. Over 50 years later we still offer the best service possible in your selection of a new clock for your home. Our new 4000 sq foot showroom is located at 3400 Westgate Dr in Westgate shopping center in Durham, NC. Our location will host the largest selection of grandfather clocks, wall clocks and mantel clocks for central North Carolina at the lowest prices guaranteed. 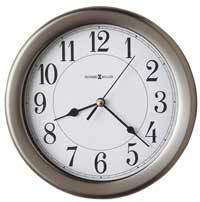 All major credit cards accepted with free floor clock delivery and setup for our regional customers. If you live outside the East Coast, we have special home delivery agents nationwide. You may take a virtual stroll through our clock showroom here thanks to Google Maps. Call us at 1-866-402-8714 if you have any questions. Directions: From I-40 - Take 15-501 N toward Durham, go about 2 miles and bear left on EXIT 105A (15-501 Business). At the 1rst stop light, turn right onto Westgate Dr...then a second right (beside Burger King) into the shopping center. We are located in the corner between Home Decor Outlet and Mission X. From I-85 -Take 15-501 S Bypass and at the 4rth exit, bear left on EXIT 105A. (15-501 Business). At the 1rst stop light, turn right onto Westgate Dr...then a second right (beside Burger King) into the shopping center. We are located in the corner between Home Decor Outlet and Mission X. We stock more new clocks in our warehouse than any other dealer in the Southeast. 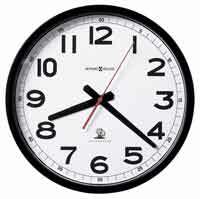 Order today and any clock in our location is packed for shipment that same day. Your order information line, 1-866-402-8714 is open from 10 am - 6pm EST Monday through Friday and most Saturdays 10:00AM until 3:00PM EST, so give us a call. After hours if we are not in, please call back or leave a message. We will do our best to help you.